With this post I declare snark war. Miss Suzanne is trying to steal my crown, MY CROWN… Can you believe it?! I’m the Queen of Snark and no one messes with me. That’s why I’m calling all snarky ladies (and man, a male Queen of Snark would indeed be silly) to help me protecting Snarkland! I’m willing to share my crown with anyone, just to ensure she’s not sitting on the thrown! 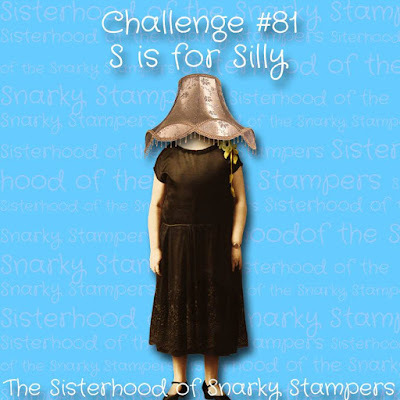 Join the Sisterhood of Snarky Stampers for the current “S is for Silly” challenge for your chance to protect the Snarkdom! As you can probably guess, I brought out the heavy artillery. 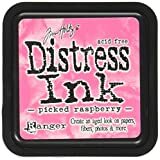 I used several colors of Distress Ink and Distress Oxide to create a colorful background with a Hero Arts background stamp (Large Fabric Design – rather old). The best tool to stamp an image onto the same spot over and over again is the Misti. 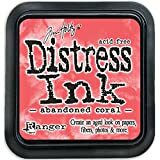 With this tool I can ink up parts of my stamp, stamp it, clean it and add the next color. I stamped that image probably 10 times or more to get all the colors onto the paper that I wanted. At the end, I also added some water sprinkles to create the chalky look of the Distress Oxide. While I let the background dry for a little bit, I stamped the So Suzy Stamps sentiment with Nuvo Glitter Noir Embossing Powder and adhered that part to the background using foam tape. P.S. Don’t worry, Suzanne and I are not really fighting. Thankfully, she understands my German humor 😉 Love you, Suzanne! 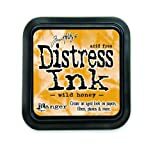 Challenge, Distress Ink, Distress Oxide, Nuvo, Snark, So Suzy Stamps. Bookmark. You two are a riot!! Thanks for adding some entertainment to my day! This is exciting! I’m not sure the Sisterhood has inspired such a… battle royale before! 😉 (I also really like the idea of a male Queen of Snark, but that’s for another time…) Beautifully inked background, and of course the sentiment is very fine. Thanks for joining the fun at the Sisterhood of the Snarky Stampers! Oooh a Battle Royal for our Queen! It’s like re-living the Wars of the Roses, only with queens instead of kings! A gorgeous card that has convinced me I really DO need a Misti, and it sums up exactly what I’m planning to do with this particular Monday. Haha, love it! Sparkly Monday for you!!! Love the sentiment, so true and beautiful! Thanks for being silly with the sisterhood of snarky stampers. Who will emerge as Queen?? Thanks for getting your silly on with the SISTERHOOD OF SNARKY STAMPERS! !